Do you live in Cabo? Consider yourself lucky because the Cuisine of the Sun International Food and Wine Festival in Riviera Nayarit is coming to Cabo! 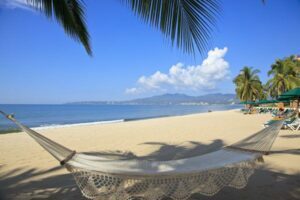 Thanks to the huge success of the Cuisine of the Sun Festival in Riviera Nayarit, The Villa Group and Villa La Estancia have decided to add an exciting second festival in Los Cabos. Villa La Estancia homeowners and resort guests are invited to attend this exciting culinary event. From April 23rd to the 26th, the 2019 edition of for The Cuisine of the Sun Food and Wine Festival will be in Cabo. Come get to know internationally acclaimed chefs who will instruct cooking classes, prepare elegant dinners, and share with attendees how they came to be the incredible chefs they are today. 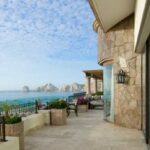 In addition to Villa La Estancia Los Cabos, Villa Group resorts Villa del Arco and Villa del Palmar will hold events that are part of the Cuisine of the Sun Festival. A Le Cordon Bleu culinary school graduate, Fraser specializes in contemporary twists on old-fashioned classics. Chef Fraser won 12 seasons of The Food Network thanks to her unique fusion culinary style and innovative dishes. Chef Fraser now works as a co-host on Kitchen Sink where she captivates the audience with her dynamic energy and delicious food. Make sure you take the time to watch Chef Fraser prepare incredible dishes at this year’s Cuisine of the Sun Los Cabos at Villa La Estancia. Chef Kyler is a Season 10 Food Network Star finalist who always delivers on entertainment and great cooking skills. With his charismatic personality, Chef Kyler actually got the passion for cooking when he worked in the kitchen aboard a Navy ship. During his US Navy experience, one of his favorite career highlights was preparing a meal for former President of the United States, George W. Bush. Chef Kyler’s upbeat energy and carefree attitude shouldn’t be missed at this year’s Cuisine of the Sun Festival in Cabo! Chef Eddie Jackson is a former NFL player that discovered his passion for cooking when he beat out 11 of the finalists on Food Network Star in 2015. turned celebrity chef? Chef Jackson now owns Rosehill beer garden & food truck park and a Fit chef studio. Chef Jackson is inspired by the goal of making healthy food taste great. In 2016, Chef Jackson and Iron Chef Alex Guarnaschelli both served as mentors to eliminated Food Network Star hopefuls during a six-week competition known as Star Salvation. Chef Jackson also hosts Jackson’s Game-Day Playbook and Eddie Jackson’s Fitness Playbook on FoodNetwork.com. The Cuisine of the Sun Los Cabos welcomes Chef Jackson to this year’s exciting event. Get your spot to attend the 2019 edition of the Cuisine in the Sun International Wine & Food Festival in Los Cabos. Don’t hesitate and head to Villa La Estancia Los Cabos website at https://culinaryfests.villagroupresorts.com/ for more information and to reserve your spot. See you at Villa La Estancia Los Cabos April 23-26th!